Wisconsin’s 2018 midterm elections are quickly approaching. To help you make informed decisions, here's a snapshot of WUWM's in-depth election coverage on some of Wisconsin's most prominent races. This guide is meant to serve as a jumping off point. To dive deeper and learn more about the candidates, follow the links throughout the piece. 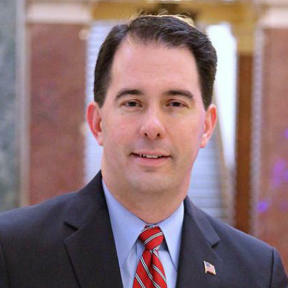 Republican Scott Walker is currently the governor of Wisconsin, first elected in 2010 and again in 2014. He also survived a recall election in 2012. It sprouted from displeasure among people opposed to Act 10, Walker's signature legislation, which stripped most public unions of most of their collective bargaining rights. 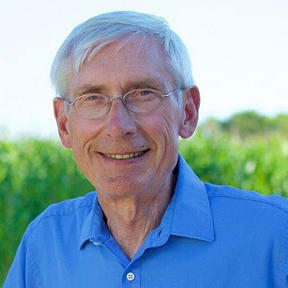 Walker's Democratic challenger on Nov. 6 is Tony Evers, the State Superintendent of Public Instruction who's been elected to that office three times. Education: To close the graduation gap between white and black students, Walker would like to continue to expand Wisconsin’s youth apprenticeships program. He wants to add $20 million to extend youth apprenticeships to middle schoolers (the program is currently just for 11th and 12th graders). Walker has also proposed tax credits for college graduates to incentivize them to stay and work in the state. Health Care: Walker approved a lawsuit that seeks to remove pre-existing protections from the Affordable Care Act. But Walker said during a recent debate that Wisconsin can cover people with pre-existing conditions without "the failure that is Obamacare." Immigration: Walker acknowledges the U.S. is a nation of immigrants but says it's also "a nation of laws." When it comes to immigrant labor and granting in-state tuition to DACA recipients or driver's licenses to undocumented immigrants, he says those are federal issues. Economy & Taxes: Walker's business push has largely focused on Foxconn, a Taiwan-based electronics giant that's building a huge factory in Racine County. Walker says Foxconn will be "transformational" to the state's economy, creating thousands of jobs at the company's plant and spurring other business development. In a recent debate, he said he's shown that he can cut taxes for working families, senior citizens, small business owners and family farmers — and he plans to do that again. Marijuana: Walker says he doesn't support the legalization of marijuana. Environment: He says it's important to maintain the state's great natural resources. Walker believes it's possible to make things both economically and environmentally sustainable. Walker has a long history in public office, serving in the Wisconsin Assembly and as Milwaukee County executive. In 2015, Walker made a bid to become the 2016 Republican nominee for U.S. president. He dropped out of the race just a couple of months later. Walker attended Marquette University. He left his senior year to work for the American Red Cross. He grew up in Delafield. Education: If elected, Tony Evers says education would be his first priority. Evers proposed a budget that would increase Wisconsin's education spending by $1.4 billion, with large increases for special education, mental health support and bilingual education. Health Care: In a recent debate, Evers said Minnesota has cheaper health insurance than Wisconsin because that state took federal Medicaid money when offered. Gov. Walker refused the funds. Evers says he would take that money and make sure pre-existing conditions are covered. Immigration: Evers says some immigration laws are bad public policy and a governor should weigh in on them. Economy & Taxes: Evers says start-ups and entrepreneurs would be a focus of his when it comes to innovation. When it comes to taxes, Evers says he'd give tax credits to the middle class, including a 10 percent income tax credit to those making $100,000 or less. However, Evers has said he's open to raising a "variety of taxes." But he changed his tune, later telling The Washington Post that he wouldn't raise taxes. Marijuana: Evers supports the use of medical marijuana. Environment: He thinks renewable energy should be part of any fight against climate change. From teaching to running school districts, Evers has worked in education his entire adult career. He was the deputy superintendent of public instruction from 2001 to 2009. Prior to that, Evers was the chief administrator of Cooperative Educational Service Agency 6, which serves school districts in east central Wisconsin. He was also a curriculum auditor for Texas, California, Indiana, Kansas and Ohio. 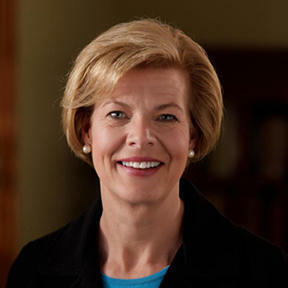 Incumbent Tammy Baldwin was first elected to a six-year term in the U.S. Senate in 2012. Her challenger on Nov. 6 is Leah Vukmir, a Wisconsin state senator. Health Care: Baldwin supports universal health care and says she believes new ideas are necessary when it comes to solving health care challenges. Immigration: She advocates for a comprehensive approach to immigration, including a bill that would increase border security and provide a path to citizenship for Dreamers. Economy & Taxes: As a U.S. senator, Baldwin has reached out to the business community and introduced a bill that she recently told WUWM would reform tax credits. Marijuana: Baldwin said during a debate that she will vote yes to the marijuana referendum that will be on her Nov. 6 ballot, but she does have some remaining questions about the medical value of the drug. Before being elected to Senate, Baldwin served seven terms in the U.S. House of Representatives. She also served in the state Legislature. She attended Smith College and UW-Madison Law School. Health Care: Vukmir favors repealing the Affordable Care Act (also known as Obamacare). Immigration: She supports building a wall between the U.S. and Mexico border. And she wants a wall built before any talks about comprehensive immigration reform take place. Economy & Taxes: In a recent debate, Vukmir promoted last year’s federal tax cut. Marijuana: She says she has concerns about legalizing marijuana. 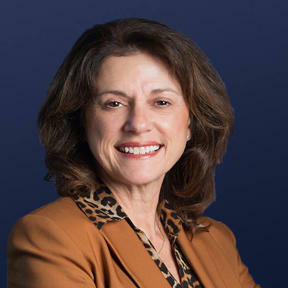 Vukmir is a nurse and former member of the Wisconsin Assembly. Vukmir attended nursing school at Marquette and received her master’s degree from UW-Madison. 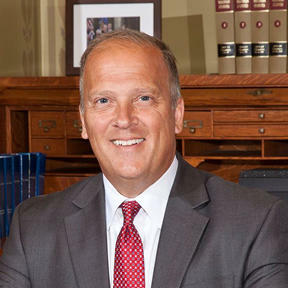 Republican Brad Schimel was elected Wisconsin's attorney general in 2014. 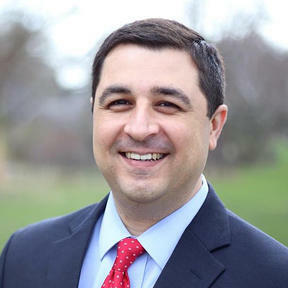 His Democratic competitor Josh Kaul, a former federal prosecutor, hopes to take his place. Education: Schimel says if elected to a second four-year term, he’d tackle cyber-bullying, violence and safety in schools. Health Care: He joined Gov. Scott Walker in a lawsuit that would remove the pre-existing protections from the Affordable Care Act, if successful. Opioid Epidemic: Schimel would like to build on the Dose of Reality campaign — which aims to prevent prescription painkiller abuse in Wisconsin — by helping employers understand and manage the risk of hiring someone in recovery or treatment. Economy & Taxes: He’s led lawsuits against what he considers federal overreach that may have negatively impacted the economy, according to his campaign website. Schimel received his bachelor’s degree from UW-Milwaukee and his law degree from the UW-Madison. In 1990, he began his career as a prosecutor when he joined the Waukesha County District Attorney’s office. Later, he was elected Waukesha County district attorney and served on the Wisconsin Judicial Council. Education: Kaul is against arming teachers in schools. He'd like to expand long-term funding for school mental health programs. Health Care: He would like to expand Badgercare in Wisconsin, which provides health coverage for low-income residents. Opioid Epidemic: Kaul believes enforcement efforts should target large-scale drug traffickers. Also, Kaul thinks access to treatment should be expanded and that pharmaceutical companies should be held accountable. Economy & Taxes: He thinks the attorney general should make sure that Foxconn delivers on terms of the deal the company struck with the state, in order to secure billions of dollars in state incentives. Kaul is a former federal prosecutor who grew up in Oshkosh and Fond du Lac. Kaul also worked as a law clerk and for a Washington law firm. He graduated from Yale University, majoring in history and economics, and Stanford Law School. In April, GOP House Speaker Paul Ryan announced he would not seek re-election this fall. That created an open seat in the 1st Congressional District for the first time in 20 years. Two political newcomers hope to take his place: Randy Bryce, an ironworker, and attorney Bryan Steil. Health Care: He would work to enact a universal health care plan. Immigration: Bryce would support a path to citizenship for DACA students. He would also abolish Immigrations and Customs Enforcement (ICE), in favor of housing immigration and customs enforcement under an existing federal agency. Economy & Taxes: He believes minimum wage should be raised to $15 per hour and that all workers should be able to join a union. Veterans: Bryce would encourage veteran hiring and entrepreneurship. Guns: When it comes to buying a gun, Bryce thinks federal background checks should be required and a mandatory 48-hour waiting period should be put into place. Bryce, a union ironworker with the nickname "Iron Stache,” captured national attention after releasing a video announcing his candidacy before Ryan announced his retirement. Bryce is a veteran who served in the U.S. Army. He helped create the Wisconsin Veterans Chamber of Commerce. Health Care: Steil believes in repealing the Affordable Care Act (also known as Obamacare). Immigration: He favors building a wall along the U.S., Mexico border. Economy & Taxes: Steil thinks residents in the 1st Congressional District are beginning to notice positive changes that stem from the tax reform package Congress passed earlier this year. He says when businesses compete for workers, the workers will receive better wages and benefits. Veterans: He believes Congress can address some challenges veterans face when transitioning to civilian life. Guns: Steil says he would fight for Second Amendment rights, which allow citizens the right to bear arms. Steil is general counsel for Charter NEX Films Inc. The company is an independent producer of polyethylene film used for food and consumer packaging. He previously worked eight years as a corporate attorney at electric motor manufacturer Regal Beloit Corporation. 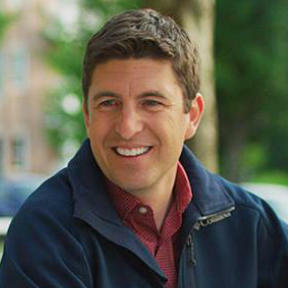 Learn about the candidates running for Wisconsin's 6th Congressional District. Also, learn why a political scientist says that race is highly competitive. Want to learn about other candidates and the offices they're running for? Find a full list of offices up for election in Wisconsin here. Plus, find out who's on your ballot here. The two candidates vying to become the next U.S. Senator from Wisconsin met for a second debate on Saturday Night. Democratic incumbent Tammy Baldwin went head to head with Republican state Sen. Leah Vukmir. If there was one thing Baldwin and Vukmir wanted people to take away, it’s that they are different. Wisconsinites will choose the state's new attorney general on Nov. 6. Incumbent Republican Brad Schimel and Democratic challenger Josh Kaul are vying for the position. To help you understand a bit more about the attorney general race, we reached out to political analyst and UWM Professor of Urban Planning Mordecai Lee.